Denomination : Silver penny. Mint : Lincoln. 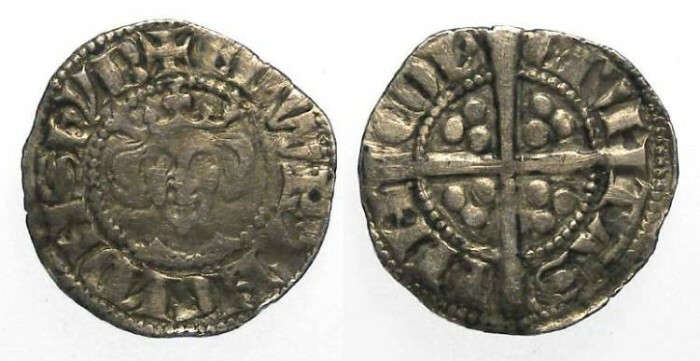 Date : class 3f, issued AD 1280 to 1281. Size : 18.2 x 19.3 mm. Weight : 1.32 grams. Grade : aVF but light scratches. Reverse : Long cross with CIVITAS LINCON around.